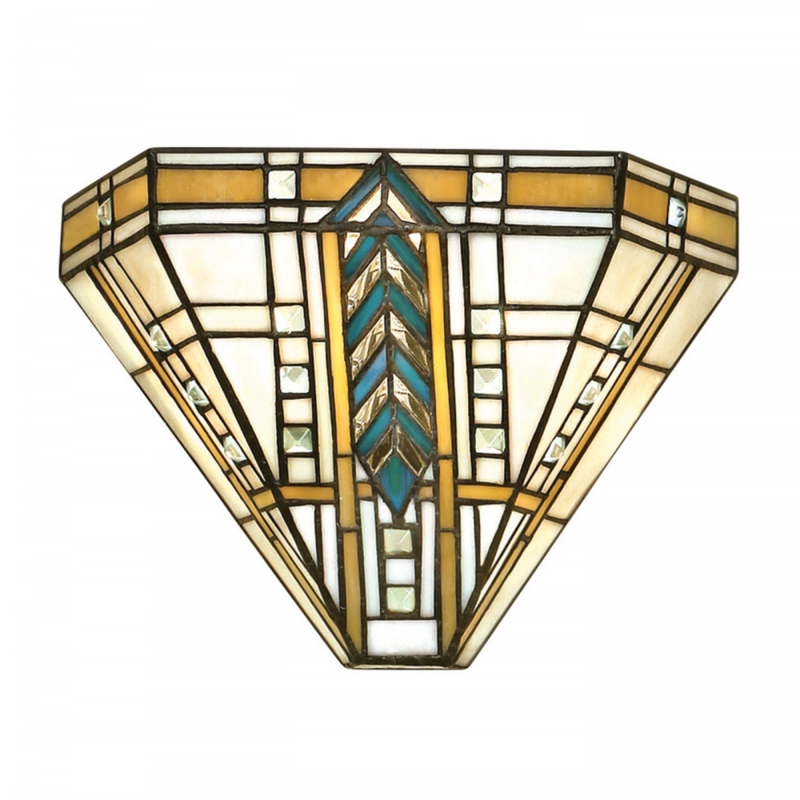 The popular Happy Homewares Tiffany collection is inspired by the American art deco architect Frank Happy Homewares Wright. This wall light is created using bevelled glass beading to really catch the light. Dimmable and compatible with LED lamps. 11cm projection x 21cm height x 31cm width.